We’re starting something new here on the Hope Clinic Kid’s Zone and it’s called: Read This Book. Dr. Brad has asked Sally Kimmes, a local librarian, to recommend a few of her favorite reads to us every so often. Sally is a passionate advocate for great children's literature that ignites the imagination. It’s bedtime in the house of the little red chicken and that means it’s time for a story. Papa reminds the little red chicken to try her best not to interrupt – but the check can’t help herself! Will they make it to the end of the story without a new kind of interruption? You’ll have to find out for yourself. An apple pie is easy enough to make isn’t it? Well sure, if the market is open, but what will you do if the market is closed? 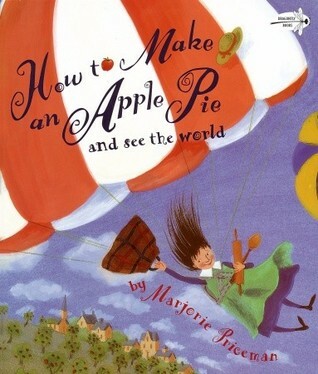 Follow one little girl around the globe as she searches for the perfect ingredients. First stop, Italy! This is a tale of a little Jasper rabbit who loves carrots. But little Jasper rabbit fears his favorite garden-patch treats are out to get him. What could this mean? Jump right into this hilarious tale of fun and games… just don’t get too greedy. Why is imaginative reading so important for growing kids? Find out more here.